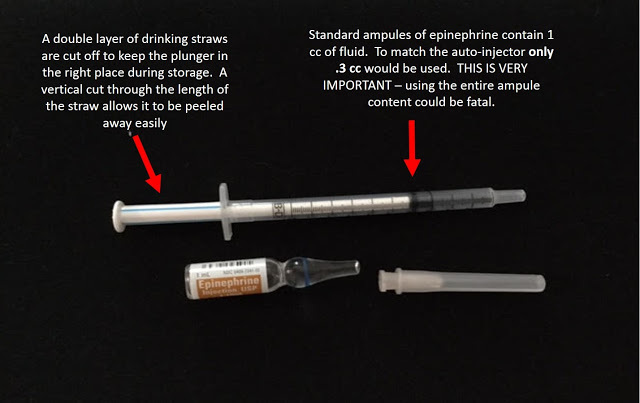 Epinephrine autoinjection alternative pre-filled syringes: A Simple Inexpensive Solution | Donald Altman M.D. Healthcare professionals can help patients or families needing injectable epinephrine, prepare a self-filled device that is very inexpensive and probably takes less than one minute to construct. Problem / Fact: The price of injectable epinephrine in self loaded sterile syringes is currently as much as $400.00 and $600.00 per twin pack dose. This puts the cost out of reach of many parents who children may have life threatening allergic reactions. Medication epinephrine, syringe and needles require a prescription from licensed medical doctor. The ability and therefore the safety, of the lay public to administer epinephrine in this system is not established and it is not recommended without the supervision and / or training by a healthcare professional. Improper use of epinephrine can be life threatening or fatal. Healthcare professionals at the site where families enter the market, or seek non-emergency care be available to help families assemble pre-filled syringes. (1) Parts needed for a self pre-filled device. Syringe, a needle, and an ampule of epinephrine. Note that that standard ampules have one cc of fluid, and only .3 cc is needed. 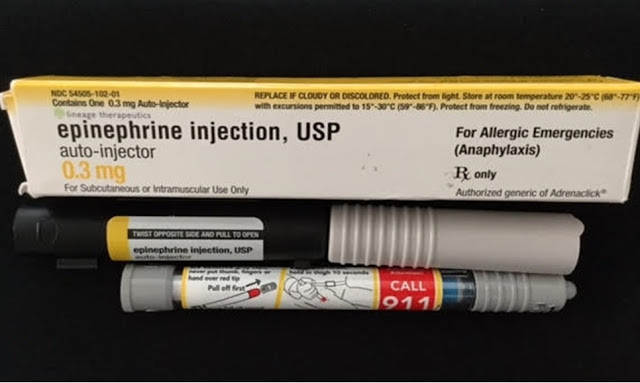 (2) Box, case, and cartridge for commercially available auto-injectable epinephrine. Finally, I can eat peanuts! Thank you Dr. Altman. See you in November.